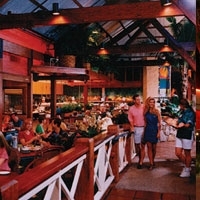 Bahama Breeze Restaurant in Las Vegas offers tropical-inspired seafood, chicken, steak and other recipes. Menu items include Jerk Chicken Pasta, West Indies Ribs or Bahamian Grilled Steak Kabobs. OPEN HOURS Everyday: 11 AM to 12 AM.